Manufacturers, wholesalers and retailers who are expanding fast, often face problems of warehousing their inventory and organizing a warehouse in terms of which shelving systems to use; which industrial shelves are needed; and how can storage be optimized to serve the company most effectively. When you enter almost any warehouse, the first thing you notice are industrial shelves and workers refilling empty shelves. Everything is organized and neat. But setting up a fully operational warehouse demands detailed planning. JIT, or just-in-time systems were among the first logistics systems models which address the importance of fast and efficient warehouses. Still, most entrepreneurs that taste quick success often become numb and ignorant about these issues. To help these companies, we have compiled a list of effective warehouse organizing tips. If you are setting up a new warehouse or re-organizing an existing one, it is always important to clean and remove everything that you don’t need. Declutter your warehouse. Throw away all the garbage and damaged products to make room for usable items only. Once everything is cleaned and neat, you need to choose one of many already created shelving systems that will suit your company’s needs. Other than creating a good layout of your large industrial shelves, controlling warehouse traffic is another important key point in having a great logistics system where all placing and moving tasks go smoothly without delay. In other words, you need a traffic plan of where and how will forklifts move without bumping into each other and making a mess. Setting up your warehouse requires the purchase of the right equipment that will keep operations at an effective and efficient level. Damaged and low quality moving equipment translates into delays that will cost you money at the end of a month. Shelving systems and picking methods go hand in hand and are not effective when separated. You must decide on the inventory-picking method that will be in compliance with your employees duties of taking products off industrial shelves and preparing them for dispatch. 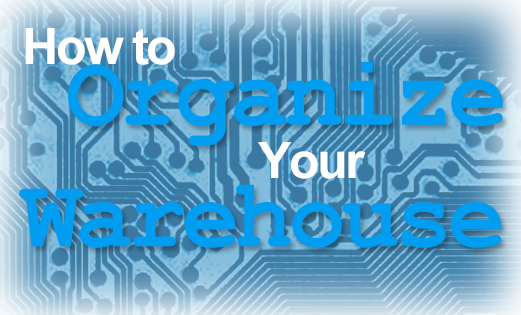 If you manage to optimize this process, you’ll have a very successful warehousing system.